Technology trend articles are especially popular as technology has become an integral part of our work and social lives. In combing through tech trend articles, many mention the internet of things, wearable technology, artificial intelligence, cyber security, analytics, driverless cars, flexible displays, virtual reality, 3-D printing, big data and mobile among others. What struck me after reviewing many of these lists is the number of oilfield and other service businesses that, even in this age of technology, still rely on paper as their primary data gathering tools in the field. Paper service tickets, paper safety forms, paper time logs, etc., etc. 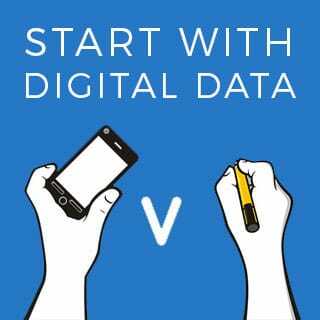 Using paper in the field, at the point where transactions are taking place, is costly, inefficient and does not allow the business to take advantage of the many benefits of having digital information. A common rebuttal from businesses that are using paper in the field is that the paper eventually gets keyed into their “system” after it is brought back from the field. But Rule #1 in process improvement is to move data capture as close as possible to the point where the actual transaction is taking place. 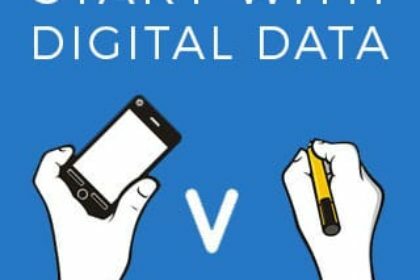 If that data capture in the field is on paper and not digital, the benefits of capturing data at the point of the transaction are lost because the information captured still needs to be transported, reviewed and redocumented (rekeyed), all of which introduce potential errors into the process. Combining mobile technology, cloud technology and digital information captured at the point of the transaction results in immediately usable information by the entire company. Supervisors can monitor jobs, HSE professionals can ensure compliance with company policies, executives can review trends, human resources can track employees and billing professionals can start the process of turning activity into cash, all because the information is digital right from the point of the transaction in the field. Service businesses that are still using paper to capture field transactions cannot take advantage of the many, constantly evolving benefits of technology. Moving from paper to digital at the point of the transaction in the field opens up a world of opportunity to oilfield and other service businesses.